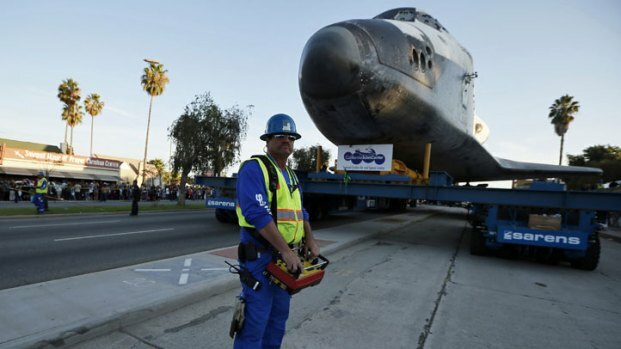 The Space Shuttle Endeavour will begin its final journey through the streets of LA on Friday, and we want to see your photos of this historic event. To join in the fun, just tag your pics #ShuttleWatch. It's that easy. 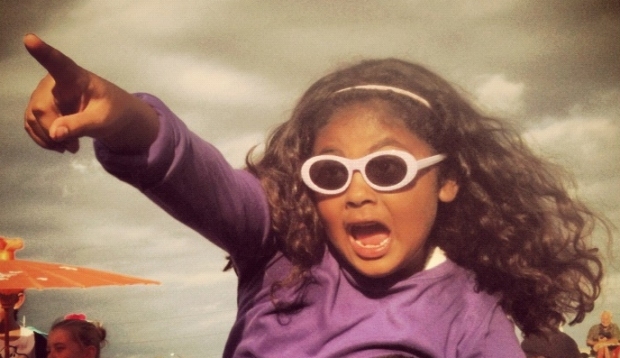 We'll take the best shots and add them to our gallery. Some of our favorites will also be displayed on our Facebook page's cover photo, and we'll be retweeting great images all day. Pictures can range from actual shots of Endeavour to viewing parties to space-shuttle costumes (someone will be wearing a space-shuttle costume, right?). We'll be scouring Instagram and Twitter for photos with the tag #ShuttleWatch. You can also post pics on our Facebook wall, or you can email us at isee@nbcla.com. 2 a.m.: Depart LAX on north side. 4:15 a.m.: Arrive at intersection of La Tijera and Sepulveda boulevards. There, Endeavour will have a 9-hour layover while the roads ahead are cleared. 1:15 p.m.: Head east on Manchester Boulevard. 4 p.m.: Stop short of San Diego (405) Freeway, and transfer shuttle to another carrier for crossing the overpass. 10 p.m.: Cross 405 Freeway. CHP will close ramps and run traffic stops to minimize traffic disruptions caused by gawking. Endeavour will continue east overnight. 8 a.m.: Pass Inglewood City Hall, a designated viewing area. 9 a.m.: Reach the Forum, the scene of a formal welcoming celebration capable of accommodating a crowd as large as 14,000. 9:30 a.m.: Continue east on Manchester Boulevard, turning left at Crenshaw Drive, which connects to Crenshaw Boulevard. 2 p.m.: Arrive at Martin Luther King Jr. Boulevard for a second celebration, with entertainment produced by Debbie Allen. 2:30 p.m.: Continue east on MLK Boulevard. 4 p.m.: Reach Exposition Park, another designated viewing area and the site of the shuttle’s new home at the California Science Center.